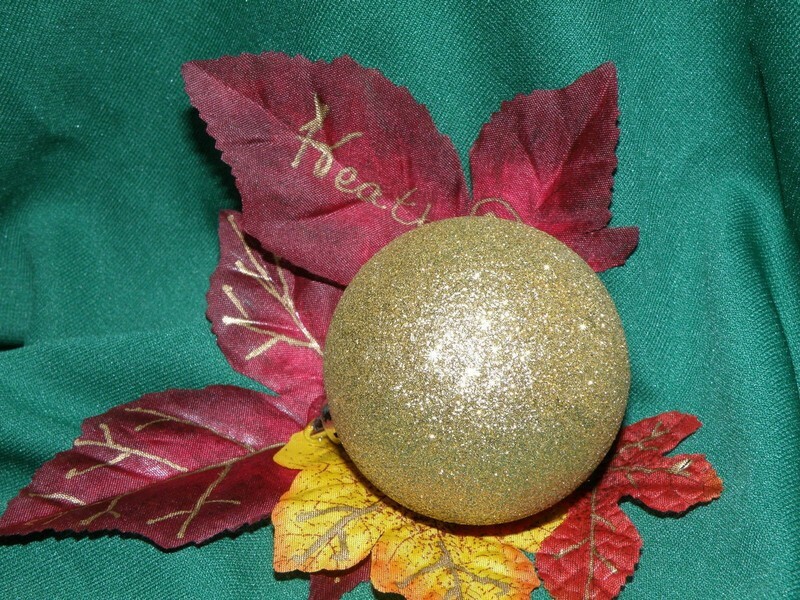 This was born out of left over materials I had on hand. 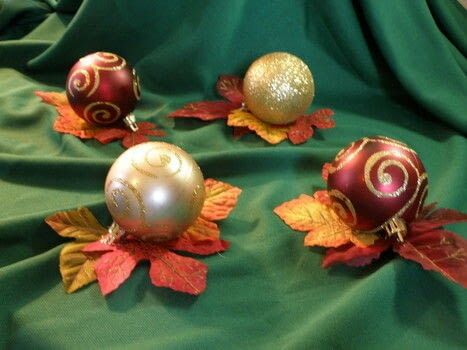 I am going to use these to set out on each plate on Thanksgiving Day. The total cost is roughly $.23 each! 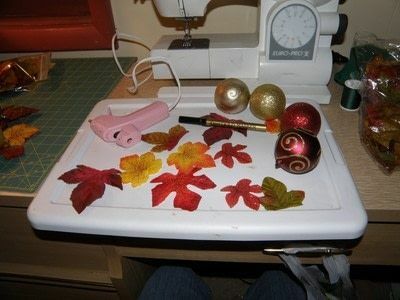 Gather your materials, and heat up the glue gun. 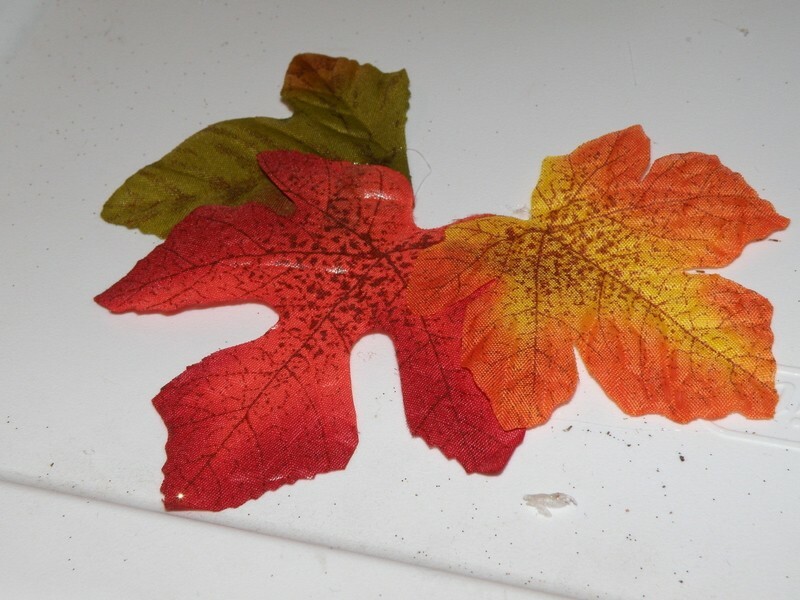 Using the glue gun, glue the leaves in bunches of 3, flat. 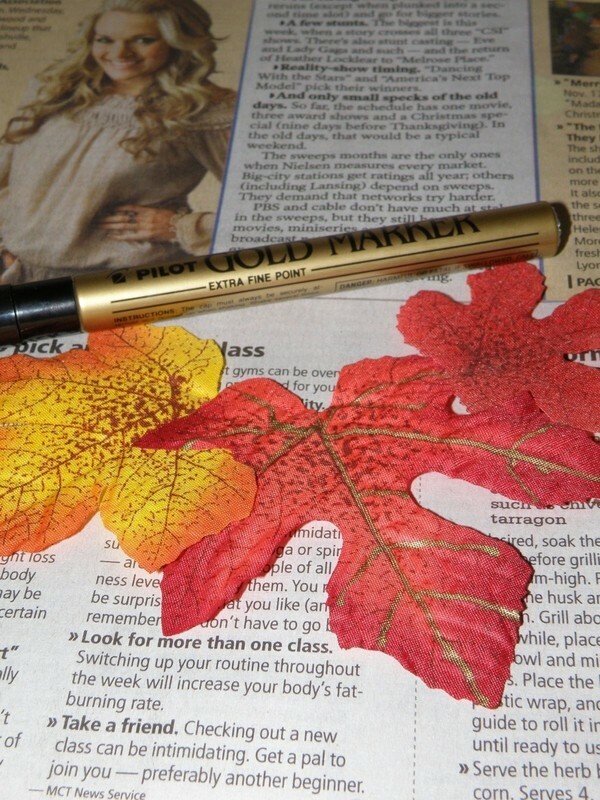 Use your thin gold metallic paint marker to outline the veins of the leaves. Please note- the marker will leak through, so use a piece of newspaper or paper under the leaves! 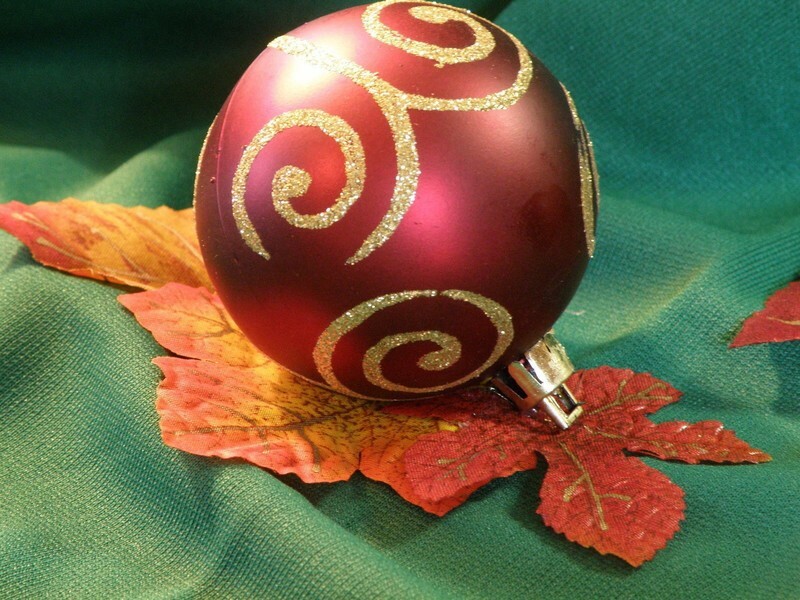 Once the leaves are decorated, glue the ornament to the top of them. Position the top hanging tag to the side, so that it will help the ornament balance. 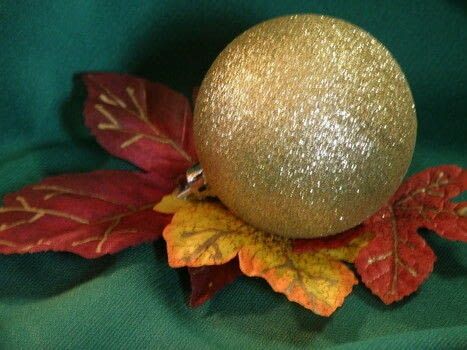 Lastly, if you would like to personalize these, you can use a 4th leaf to write names on, and glue them to the backside of the ornament, so it sticks out from the ornament.